A most unusual collection of folksongs by Mexican singer Xochitzin, with several previous albums to her credit, and multi-instrumentalist Luis ‘Ixonetzli’ Perez, who penned most of the compositions here, with the exception of “My Existence” which is by Xochitzin. Her voice is very high, almost like a child, but with stunningly accurate pitch and a very sunny approach with beautiful overdubbed harmonies on some of the nine pieces, all sung in English (think Kate Bush, maybe), which brings me to my first question: both are from Mexico, a Spanish speaking country throughout, and all of Xochitzin’s previous releases apprear to be Spanish language. Could this be an attempt by both to reach an international audience? Or perhaps there is a Spanish language version of this album that I am unaware of. The instrumental accompaniment on all of the tracks is very sparse, typically just one or at most two acoustic guitars, occasional bass, and some light percussion (handclaps and such) in some places, and the voice is always at the fore. This almost sounds like the gentle folk music of the 1940s or some other lost space in time, almost seeming ‘antique’ in some respects, something from an old 78 RPM record but without the surface crackle. 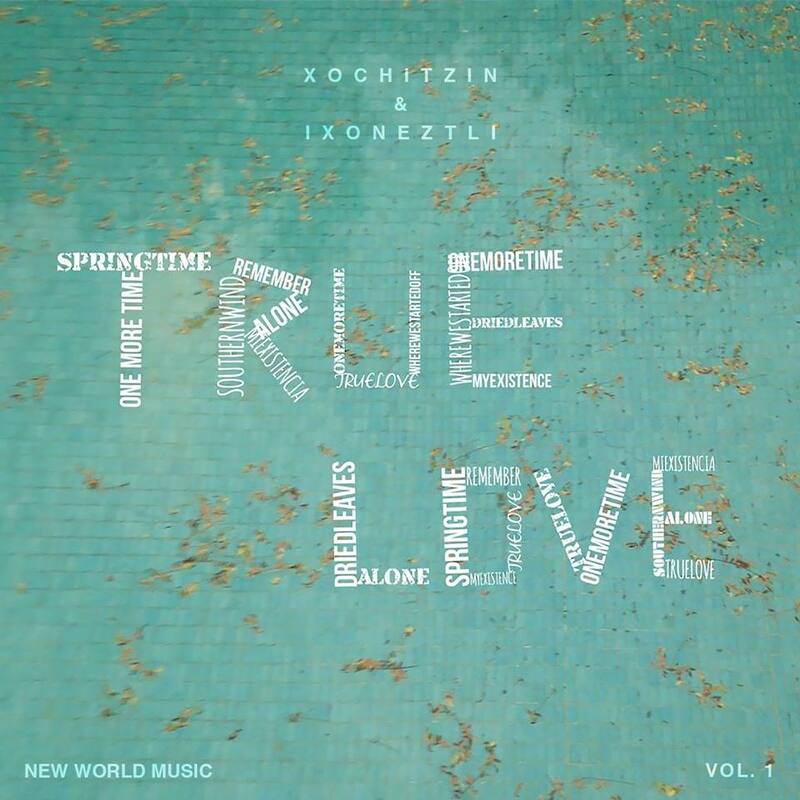 Ixonetzli is best known for his beautiful explorations on the pre-Colombian instrumentation of Central America, but he’s also a masterful creator of otherworldly acoustic music on his albums like Mare Nostrum and has created albums on modular synthesizers and forays into other spects of world music, and True Love Vol.1 is certainly within the scope of his muse, and Xochitzin is a perfect vocal match for this music to bring it fully to life. Looking forward to Volume 2.